Fort Lee suicide: Female soldier was 33, had served since 2000. Her career included a 15-month combat tour in Iraq in support of Operation Iraqi Freedom from 2007-2008. The statement said Walker was a human resources specialist, though it isn’t clear whether that was always her role in the service. (Human resource specialists can be deployed in combat.) 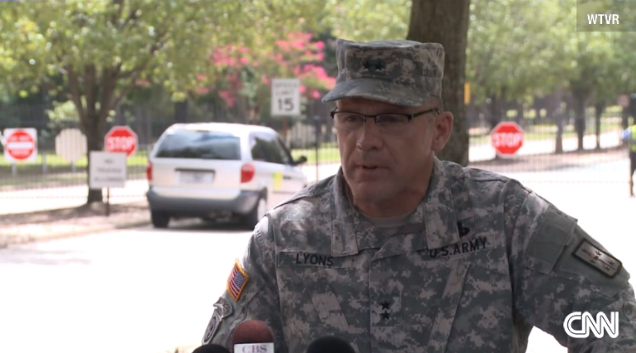 Army Maj. Gen. Stephen Lyons told reporters that Walker had thrown objects in a “rampage” and spoken with negotiators who’d arrived on scene before shooting herself.